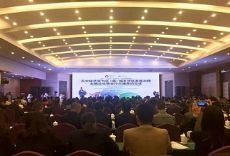 A forum on community governance was held in Wenjiang district, Chengdu on Nov 3. Seven districts and counties from around Sichuan province participated in the forum. Youxian district in the city of Mianyang, Yucheng district in the city of Ya'an, Jiang'an county in the city of Yibin, Bazhou district in the city of Bazhong, Dong district in the city of Panzhihua, Sertar county in Ganzi Tibetan autonomous prefecture and Wenjiang district in Chengdu signed an exchange and cooperation agreement on community governance at the forum. 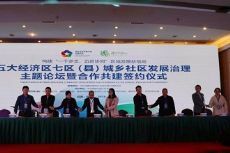 Ten counties (sub-districts) and six villages (communities) paired up at the forum, while 10 social organizations signed agreements on future cooperation. 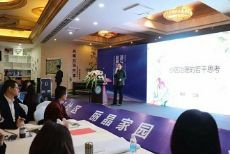 Liu Jiayan, associate professor at Tsinghua University, and Liling, director of the Sociology Institute of the Sichuan Academy of Social Sciences, delivered speeches on community governance at the forum. As the host of the forum, Wenjiang is striving to become an internationally influential center for health care, establish itself as a garden city in west China, and promote innovative of governance systems for urban and rural communities. Wenjiang will take the forum as an opportunity to promote communication between regions, improve community governance, and contribute to the development of Chengdu.